Learn About All Your Options When Selling Your New Albany Home! The condition of the property is not important. What’s important is that you are happy with the deal and that you walk away from the table knowing you made a smart and well thought out decision! Listing is not the best choice for all situations. Sometimes a fast sale can save you thousands! We will buy homes that haven’t been able to sell on the MLS. Houses in need of major repairs, even homes that have fire damage. We have purchased vacant homes and homes with tenants. We will make an offer on any property no matter the size, price or condition! Selling With an Agent Can Take Months! When you list, you never know when it will sell. It’s a gamble. it works for some, but not for others. Do you have the time to potentially wait while you are waiting for a qualified buyer to come through? When you sell directly to Sell House Columbus, you will know exactly how much money you are getting for your New Albany house. You will not be asked to pay a dime out of pocket, not even closing costs. You will also have the benefit of knowing exactly what day you will close. You even get to pick it! We can be ready fast! The process will happen on your terms and on your schedule. You will not be asked to clean up or make repairs. There is no need to invest in upgrades for a home you don’t want to own. Don’t throw money away. Keep it in your pocket. Save time and money with a direct offer from Sell House Columbus! To get started, we only need a small bit of information about your house. We will give you a straight forward offer, with no gimmicks or hoops to jump through. 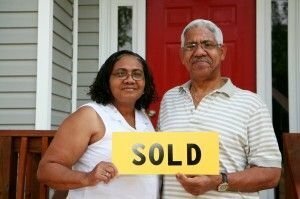 We want to help New Albany homeowners by offering a smooth transaction and a great price for their home. Selling your house, no matter the situation can be easy and stress-free. Tired of playing landlord? We can help. Getting a divorce? Sell now and be done with it. Liens on the home? We’ll buy anyway. Repairs you can’t afford? Don’t worry, we got you. Need to move for a new job? We close fast, putting money in your pocket for the next chapter of your life. If you are ready to save time, money and avoid the stresses of listing, give our office a call. Selling your home really can be this easy! You let us know when you are ready to sell, and we will be ready, cash in your hand, in 7 days! Learn about your options, and don’t sign any contracts until you get our no-obligation offer!